Mr Trotter's Candles Mr Trotter’s, winner of this year’s Q, Quality ‘Savoury Snack of the Year’ Award, has created a trio of alcohol-inspired candles to celebrate his favourite British drinks. Gin, IPA and Whisky are all available in both glass and smartly branded tins. 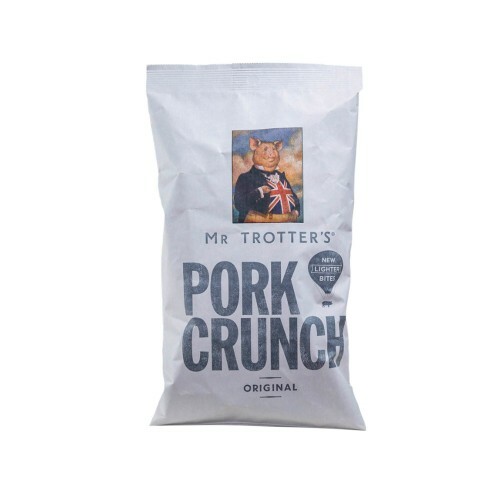 Pork Crackling Mr Trotters award winning crackling is made from premium pork skin, triple cooked to deliver explosive crunch and seasoned with yeast and sea salt - no MSG. Pork Sausalami Mr Trotter stands for all that’s best in British pork snacks and now he’s turned his attention to sausages. Not any old sausage, but a Sausalami. 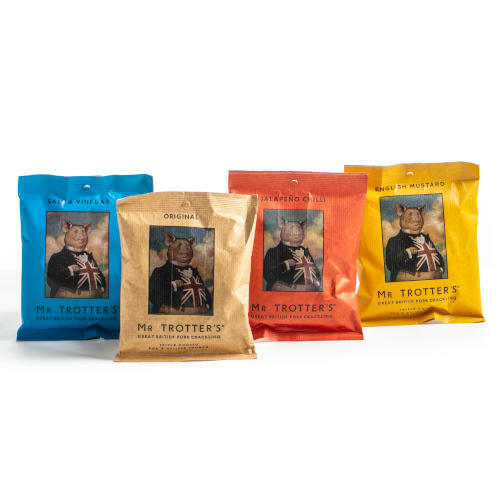 Packed with the finest British pork and just enough of Mr Trotter’s special seasonings. And air-dried like a salami to give you easy eating – a great ‘on the go’, high protein snack. 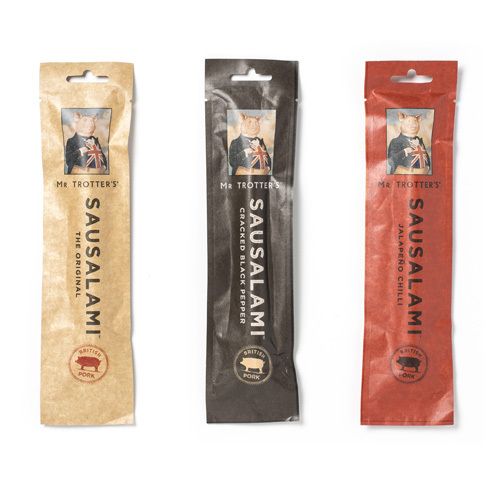 Available in 3 great flavours – The Original, Jalapeno Chilli and Cracked Black Pepper. 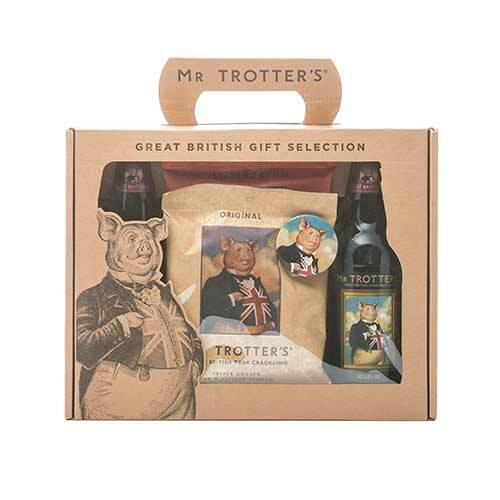 Gift Selection Box Mr Trotter’s smartly packaged gift box is a magnificent gift for any time of the year. 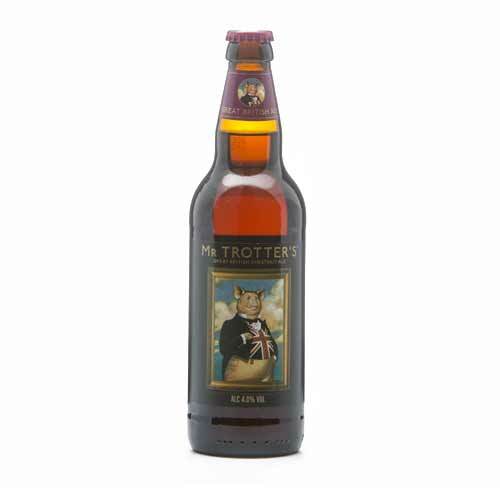 Chestnut Ale Beer and crackling make the best of matches so its natural for Mr Trotter to brew his own very special ale. Blending chestnuts with sweet Maris Otter barley gives a nutty creaminess to the brew, a honied note to balance the clean bitterness of the English Cascade and Bramling Cross hops. Its Crunch Time’ T-Shirts Mr Trotter’s very own t-shirt is made from super premium cotton, screen printed in full colour on the front and single colour on back.